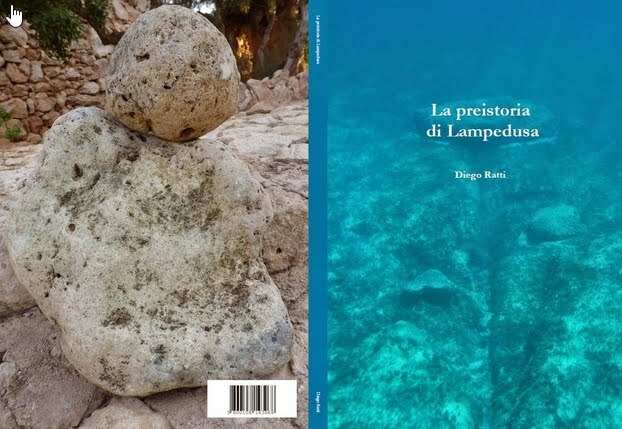 Our friend prof. Fabio Giovanetti has recently discovered some incision in a rock near the megalithic village on top of the promontory above the Tabacarra Coast of Lampedusa (a site previously described here). 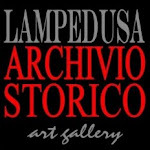 This exceptional finding is definitely worth some further study and attention by the competent authorities which have been duly informed. 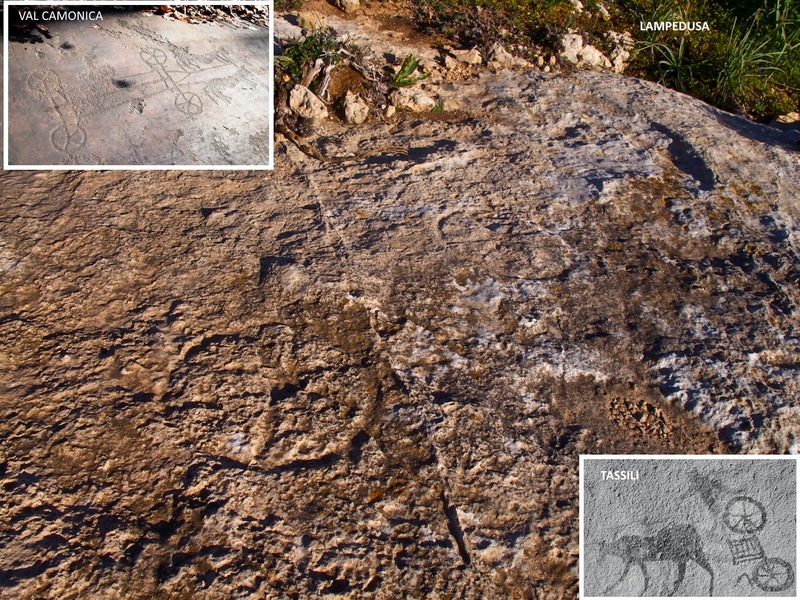 A close parallel between these petroglyphs of Lampedusa and the Valcamonica rock art can probably be noticed by the observers, another suggestive similarity can be seen when observing those painting of cars and chariots in the Tassili desertic region of Libia (see picture below). 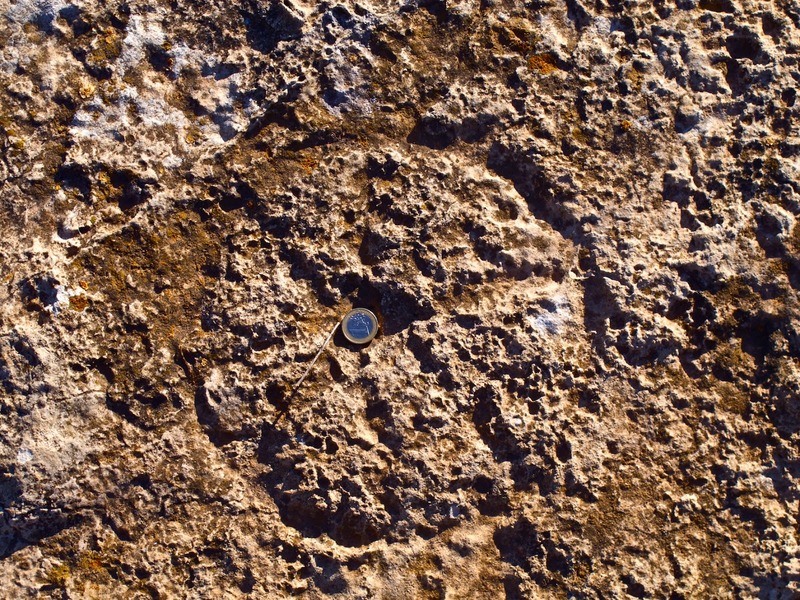 Another, more symbolic interpretation may link the above incised wheels with spokes to some symbolic representation of the sun and hence to prehistoric "sun cults" of some sort. 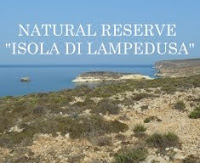 Evidence is mounting by the day that the island of Lampedusa was widely populated in the prehistory and that the remaining traces of the prehistoric culture of Lampedusa deserve more attention. 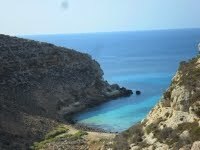 I have forwarded these pictures to some rock art experts and I look forward receiving and sharing their comments soon.